At Language Australis, we’re proud to be a leading provider of Vietnamese translator services in Melbourne and across Australia. We employ a team of skilled translators who specialise in translating documents for individuals, businesses, corporations and government organisations. 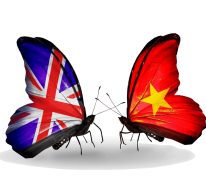 Our team of Vietnamese translators can translate documents from English to Vietnamese and Vietnamese to English. Language Australis is one of Australia’s most professional and reputable language translation specialists who offer services on widely varied subject matter. Why choose our Vietnamese translation services? The professional and qualified Vietnamese translation team here at Language Australis is accredited by the National Accreditation Authority for Translators and Interpreters (NAATI) and all are native speakers of the language they translate into. With translators who are NAATI certified, our professional and accurate translations can be used for official purposes in Australia, such as a submission to the Department of Home Affairs, universities, government services and road licensing authorities. We have the right knowledge to assist you, with translators who specialise in different fields to provide the best service for your personal or business needs. At Language Australis, we also have interpreters who have an understanding of the correct social etiquette and body language that are essential for the business setting in the Vietnamese culture. Our interpreters have an in-depth understanding of the cultural barriers and nuances of both cultures. Our interpreters also have an extensive knowledge of the two working languages in which they are fluent. Contact Language Australis to find out which Vietnamese interpreter is most suited to your needs. Whether you require advice, would like a quote or would like to book an appointment, our team would love to hear from you. You can get in contact with the Language Australis office by calling (03) 9571 2227, or by using our simple online contact form. Around 93 million people around the world speak Vietnamese, the official language of Vietnam. Through emigration, Vietnamese speakers also live in South-East Asia, Australia, North America and Western Europe. Vietnamese is the seventh most spoken language in Australia – and therefore a much sought-after language for translation and interpreting services. From 111AD and for the next 1000 years, when Vietnam was under Chinese rule, the official language was classical Chinese and the Chinese characters were called Chữ Nôm. Paradoxically the spoken word was the City dialect of Vietnamese and Muong in the mountain regions – both dialects originating in the country’s north around 3000 years ago. In 1887 the official language of Vietnam changed again this time due to French Indo-China rule. This ended in 1954 with the country’s independence. The use of classical Chinese disappeared, French became the official language and the Chinese characters of Vietnamese were changed to a romanised script called Quoc-ngu(national language). This is the language that is used today. Like Cantonese, Vietnamese has six tones – rising tone, falling tone, rising falling tone etc. – each one changing the meaning of a word. For example, the word mawith different tonal accents, can mean ghost, mother, which, tomb, horse and rice seedling! Clearly, the Vietnamese interpreter must be on their toes. The Vietnamese alphabet has 29 letters but not F, J, W or Z. Since the letter F is difficult for Vietnamese people to pronounce, they have changed words containing F to suit their own pronunciation. For example, the word beefsteak has been changed to a more comfortable bit-tet in Vietnamese.